A summery, slightly cropped cardigan with a fun lace edging, two yarn weight options and two sleeve options! Worked from the bottom up, the cap sleeve version is completely seamless while the short sleeve version has minimal seaming. Meant to be worn open (but you can also add a button or tie). 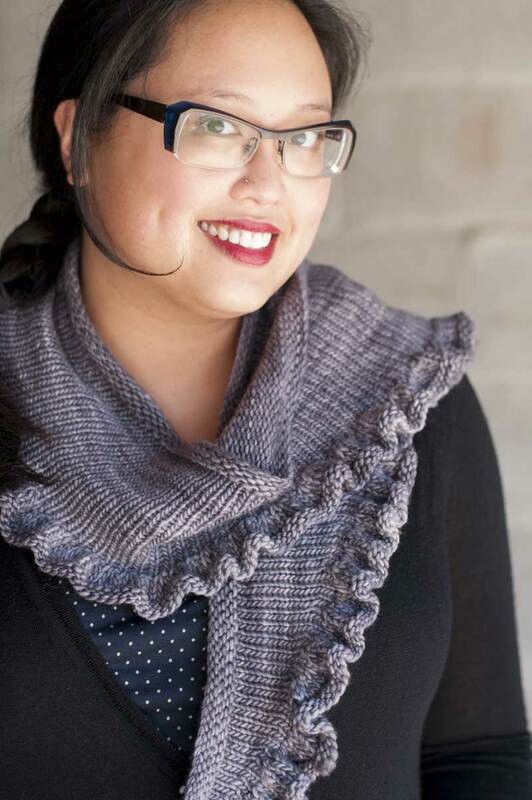 Works up quickly in a small amount of worsted weight yarn and is a perfect topper to take that short sleeved or sleeveless dress into the evening, air conditioning and autumn. 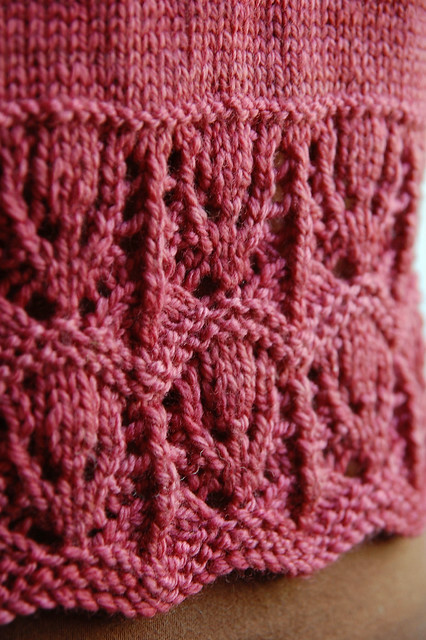 Worsted weight: Worsted or aran weight yarn. Shown in Lorna’s Laces Shepherd Worsted (100% superwash wool, 225 yds/113g skein) in colour Manzanita, 3 skeins for size 36” / 91.5cm. 510 (550, 580, 650, 700, 760, 820, 860, 920) yds for cap sleeve version. 5-page PDF pattern with charted and row-by-row directions, schematics and abbreviations.